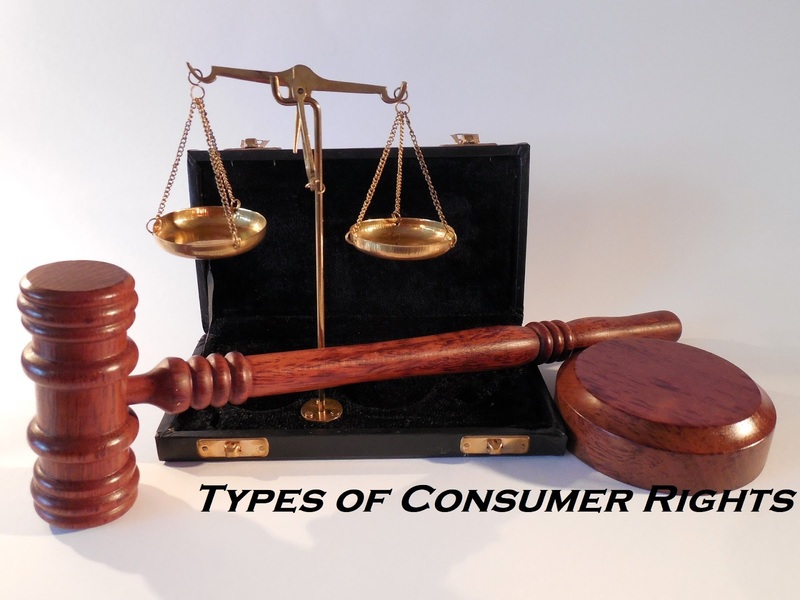 Do you know what are the rights of consumer in our country? Everyone is a consumer because everyone needs stuff for their living, for which a person buys ration or everyday items used in any shop or mall, but usually most consumers There is no information about your rights. Let us know that under the rights of the consumer, there is a right to information about quality, capacity, quantity, accuracy, value and standard of goods or services. So if you are buying something, then see these elements in depth and if you are looking for any kind of disturbance then you can fight for the rights of the consumer. Along with this, if you have knowledge of all the rights of the consumer then you will also be able to avoid fraud. Therefore it is very important for every consumer to know these rights. Although there are strong and clear laws in India to protect consumer rights. The Consumer Rights in India - Consumer Rights in India, the most important of the laws enacted to protect the Consumer Protection Act, 1986. According to this, a person who buys goods or services for his or her use is a consumer. The person using such goods / services from the seller's permission is also a consumer. That's why every one of us is a consumer in some form. The right to safety is the right under which the consumer gets the right to security. That is, no object or service should be such that it can be harmful to consumers immediately or in the future. Under this it is necessary that the goods and services purchased should be done in a constructively manner. At the same time, attention should be given on long-term interests, it has also been included in the right to safety. At the same time, consumers also get the right that any poor quality goods can not be given to the consumer. Under this, whatever customer is purchasing something, it is necessary that he should emphasize his quality and guarantee of products and services before this. With this, any customer should take priority over purchasing item quality of item quality, such as ISI, Agmark etc. You should also tell that according to Section 6 (a) of the Act, consumers have the right to protection against the marketing of mercantile goods, goods and services for life and property. Using them will not cause any kind of physical discomfort, loss of health, or any other difficulty to consumers. At the same time, these consumers should be able to satisfy their quality and safety standards. In the same way, if any customer sees any defect in security, then he can complain about it in the consumer court. Under the jurisdiction of obtaining information, any customer has the full right to know about its quality and quantity about any object. Apart from this, there is also a right to know the purity, standard and value of the service of any object. It is very important to know this so that the consumer can be protected against unfair trade practices. Let us know that the right to information is also one of our fundamental rights, which ensures public participation in decision-making process on important issues of the country. Along with this, there is also a necessary component in the democratic system. Let us tell you that it is important for any consumer to make the right decision at the time of purchase of the item, so that the knowledge of the information should be made aware of the right to be informed. Get detailed information about the content being purchased. Receiving information regarding the quality, magnitude, purity, materials used in the manufacture of goods and prices of goods and services submitted for sale. When making purchases of goods and services, to collect all the necessary information to make the right decision regarding selection, maintain their access to the government's welfare schemes. Misleading and misleading publicity is not confused. Under this right the consumer has complete right to choose any thing or service of his mind. Under this, any person can buy suitable and suitable items according to their needs. At the same time, the customer also receives a competitive market. At the same time, any item having a competitor in the market gives the customer the right price and good quality material. This means - To ensure the right to get access to the varieties and services of commodities on prices, as far as possible. At the same time, in the case of monopoly, it means the right to get satisfactory quality and assurance of services at the right price. Including the right to basic goods and services. At the same time, whenever a customer buys any item, he always strives to spend money only for the object of his favorite so that he gets satisfaction. At the same time, the same thing in the market is available in different varities. From where any customer has to select the item of their choice. In this way the right to select provides better protection to consumers. On the other hand, it is up to the customers to use their rights with caution. The right to be heard means that while advocating for the interests of consumers and making them financial and other policies, they should be fully sympathetic to consumers. At the same time, this right empowers consumers to represent government and other policy-making institutions as well as growers and their service providers. With this the right to be heard should be heard by any customer. If a shopkeeper is behaving badly with a customer or dishonestly with a customer, then the customer can raise his voice against that shopkeeper under the right to be heard. Under this right, any customer can express their views in the district, state and national forum. Under this right to be heard, any customer can express their views. Along with this also provides opportunities to inspect and complain. Under this jurisdiction, if any customer purchases something after its quality, quantity or any such product which has caused it to be a health loss, in addition to any complaint related to the product, if it does, then the customer's The actual complaint is redressed. At the same time, the right to redress grievance means that the right to redress grievances against exploitation or unfair trade practices by consumers' fraud. Therefore, under this officer, consumers must make a complaint for their actual complaints. Under the Consumer Education Act, there is an Act of giving education to the consumer. This means that the customer has the right to earn whole life knowledge and skills. By which the customer can identify himself as a knowledgeable and sensible consumer. Through this right, any consumer can make the right decision when buying any item, using his / her knowledge and skills properly. Consumer education provides the information needed to develop every person as a smart, intelligent consumer. In this way it is a organized movement, in which the society is designed as a smart and efficient consumer. It protects consumers from those goods or services which can harm human life. The shopkeeper must be informed about the quantity, quality, accuracy and value of the goods or services etc. There is also a provision for conviction on the use of the wrong or restricted business, so that the trader can not do wrong business in some way.